Imagine yourself in the shoes of a man who composes and performs music for a living. You are a genius and are respected among many in the music industry. Picture performing a symphony premiere in front of hundreds of people and at the end, someone comes to turn you around to face the audience behind you. You see the hands of all the audience members clashing together in rapid succession, but there is no sound; just like there was no sound that came from the orchestra in the piece that just ended. Ludwig van Beethoven was no doubt one of the major influences in the music world. He kept a secret for a long time that probably should have stopped his ability to write music in its tracks. But it didn’t. He was one of the first people to be able to work past his the inability to hear. He refused to let his impairment stop him from working and continued on with composing some of his best pieces even after he lost his hearing completely. Finding that if he placed one end of a rod between his teeth and connecting the other end to the piano’s soundboard, he could hear the music he played. The ability for Beethoven to be able to ‘hear through his teeth’ is what we would call bone conduction today. Bone conduction is the transference of sound through the bones of the skull. Humans can hear two different ways; one is through air conduction, the other is bone conduction. Air conduction, or sound vibrations traveling through the ear canal into the inner ear, is the most widely known way of being able to hear. The other way of hearing – through the bones in your head – is less known but is growing in popularity and technological advancements. Today’s scientists are learning ways to use bone conduction to advance both medical and recreational technologies. In the treatment of hearing loss, B.A.H.A. units, or bone anchored hearing aids, restores hearing to those whose ear or ear canal is closed or deformed. A microphone passes sound waves to a magnet or implant beneath the skin, which is converted into vibrations that travel along the skull until they reach the inner ear. The implants used for these hearing aids have become smaller and less evasive, so that they can be worn without advertising it. Bone construction systems additionally give the wearer the ability to hear music or transmissions while being completely aware of what is going on around them. Systems like these have been used in military environments and have recently found their way into consumer electronics. 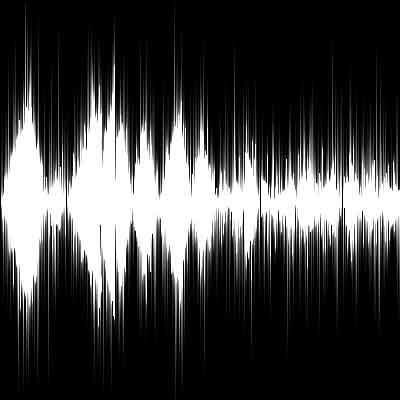 Scientists have been able to match musical frequency ranges with newer products, giving the vibrations a better quality of musical sound and have become less muffled and distorted. There are many more safety advantages connected to bone conduction systems over those connected to traditional headphones. Using one leaves the wearer’s ears free so they are not distracted from the environment (making them possible to wear while driving), and they cause less damage to the ears than ear buds. The only current downfall is that others around you may be able to hear what you hear. Many products have been introduced using bone conduction and competitors are growing in their new markets. Bone conduction systems are now being implemented into speaker systems, Bluetooth devices, underwater stereos and deep sea communication systems. So what does the future hold for us in this rising technology? Recently an advertising company in Germany has targeted messages to commuters as they lean against the window. They say that the system could be socially beneficial; news bulletins could be relayed easily and emergency announcements and warnings could be spread in the blink of an eye. Unfortunately, with this rising technology comes a growing ethical concern. Is privacy threatened with these new devices? Could delivering content with such ease be invasive and against personal consent? What other devices could be created and what effects will those have on our lives? Only time can give us the answers to these questions. What we know now is that we may have to get used to the idea of hearing with our bones and having more voices in our heads.